Just Like the Electrolux you grew up with!! The Power Team Perfect Canister is just like the original Electrolux metal canister vacuum that you grew up with. 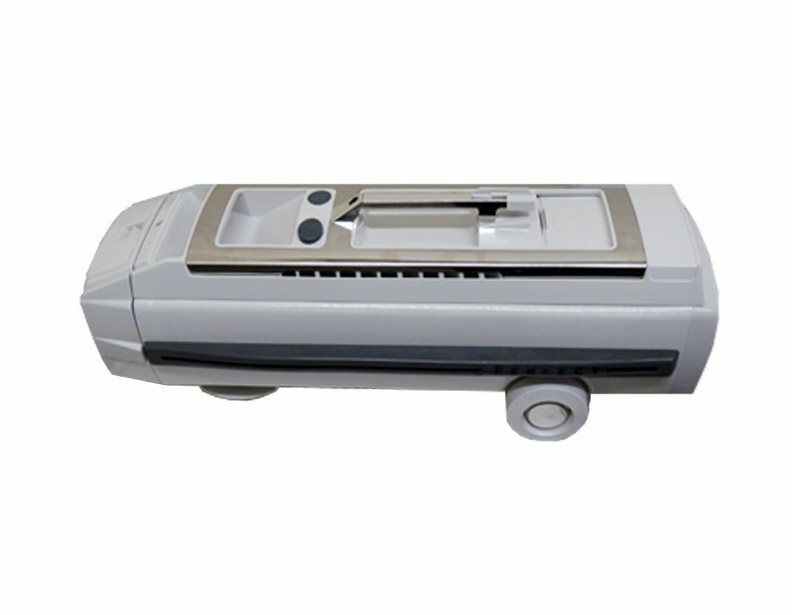 This powerful machine offers the same design and specifications as the classic Electrolux that you grew up with. The wide 15" power nozzle is great for any cleaning situation. If you have pets or suffer from allergies or asthma, the perfect canister vacuum is right for you. 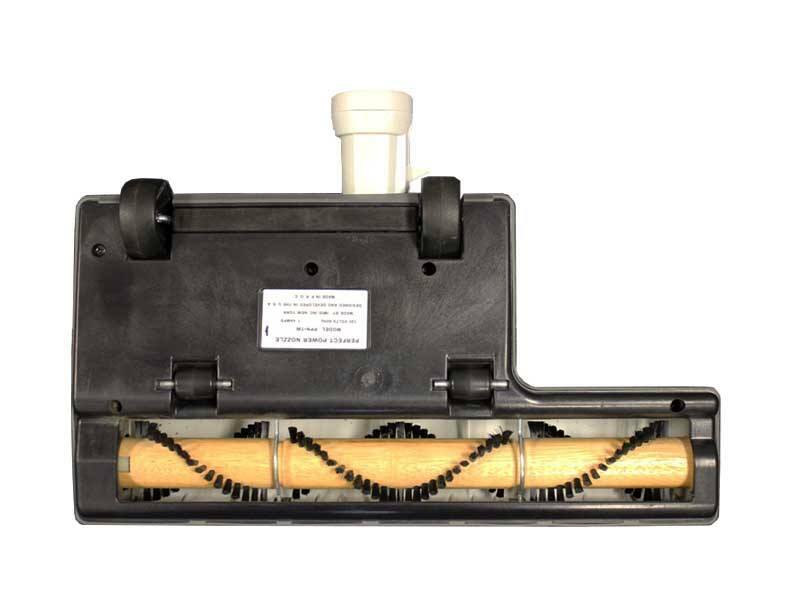 Using an electronic circuit breaker, the powerhead will automatically turn off to prevent the belt from breaking if something gets caught in the brushroll. 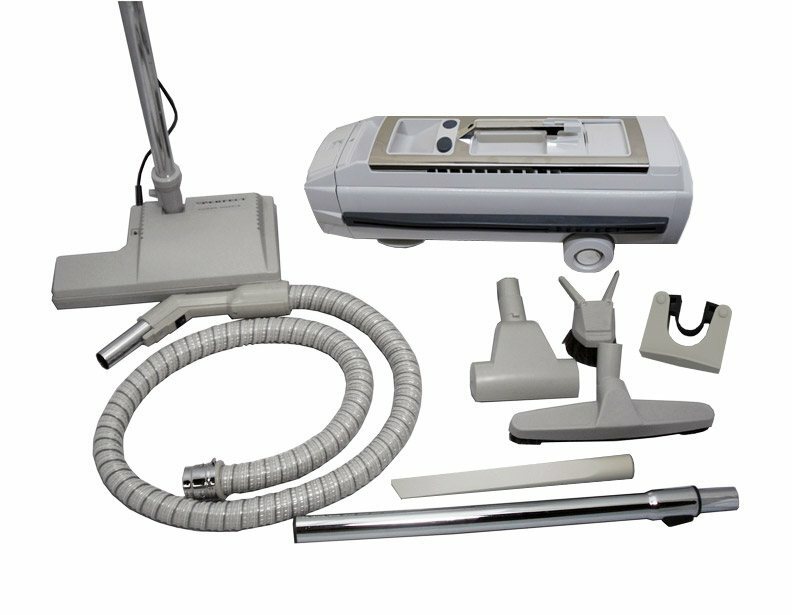 This machine also comes with the new HEPA filtration bag which removes 99.97% of all dirt, dust and allergens and surpasses the standard paper bags that were originally offered with this machine. 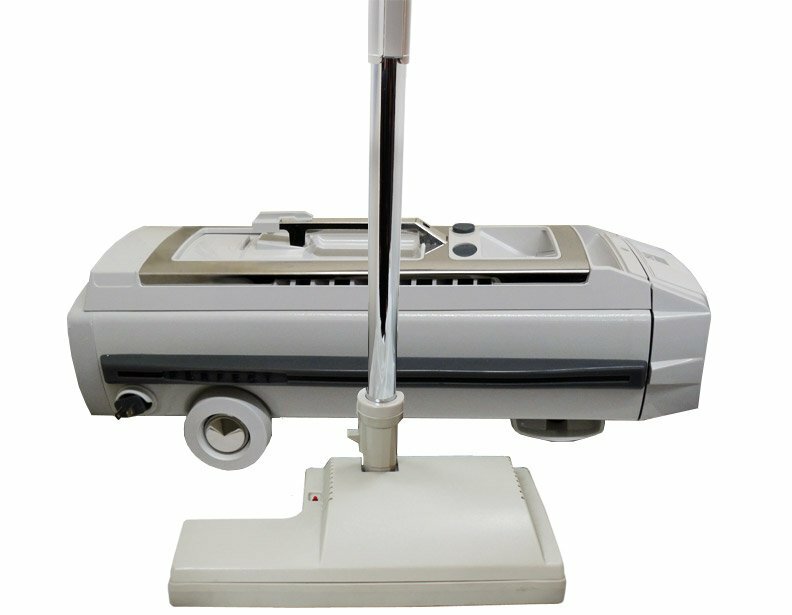 This metal canister vacuum uses rubber wheels and protective bumpers around the body to protect the floors and furniture from scuffs and scratches. Just like the original Electrolux metal canister vacuum, this machine offers superior suction with an L-shaped power nozzle for an extended cleaning path. The Perfect canister is Green Label Certified to provide superior cleaning and indoor air quality for soil removal, dust containment and fiber protection. Just like the original metal canister vacuum, the Power Team Perfect Canister offers and Easy step-on On/Off switch, easy tool storage holders for the dusting brush and crevice tool, and a durable metal body that won't break as easily as an inexpensive plastic canister vacuum. Included with this canister vacuum is the 6 foot wire-reinforced Electric Hose with a 360 degree swiveling handle. The handle of the hose is also upgraded to include a fingertip controlled on/off switch for the power nozzle and like the original Electrolux, utilizes the suction control feature located on the handle. The C101 canister vacuum includes the crevice tool, combination dusting and upholstery tool, 12 inch floor brush and an air driven stair tool. "Just like the Electrolux you grew up with!" 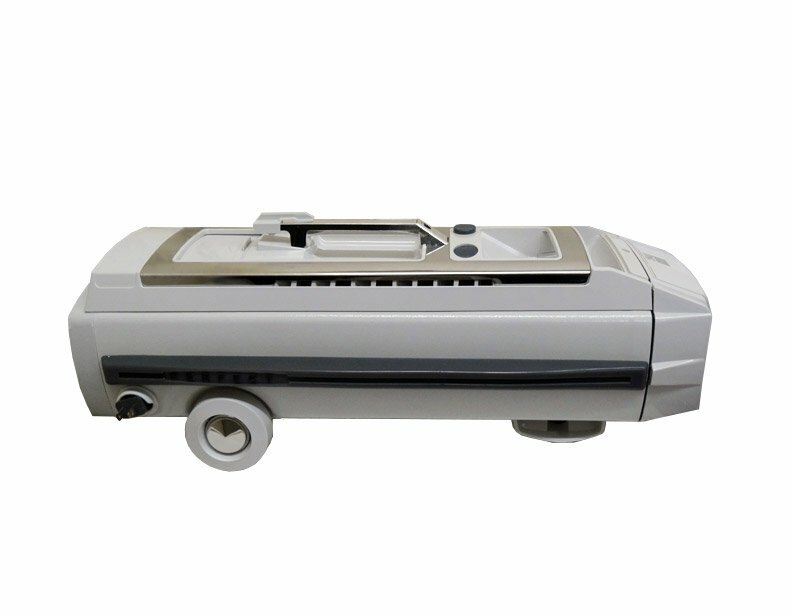 Same body style as the following Electrolux vacuum cleaners: Model 1205, Golden J, Super J, Olympia One, Silverado, Diamond Jubilee, Marquise, & Grand Marquise. Call 1-866-972-8227 and ask for an instant rebate on the Power Team Perfect Canister Vacuum. I replaced a 41 year old electrolux with this canister cleaner two years ago. The new machine is amazing and has more power than my current vacuum ever had. Other than updated technology it functions much like the old one, and the accessories are almost exactly the same. Very pleased and impressed with the perfect model. I would recommend this vacuum to anyone that is looking for a heavy duty machine. It is worth considering if a canister style is best suited for your cleaning style and needs. I just got my Perfect and it's everything as advertised. The power of this sweeper surprised even me who is used to the old tank-type Electrolux and its power. This sweeper actually pulled the carpeting with the tacks right off the stair when I vacuumed the staircase and it snatched two flies in midflight right out of mid air!!! I've never seen that before. The only two things I didn't like is that the power cord is too short and there is no full bag indicator. I don't like guess work and it's a shame that Electrolux didn't allow Perfect to use the automatic pop-open head feature when the bag is full. Those are two things Perfect needs to look into. Otherwise, it truly is an amazing machine. Dyson, Shark, eat your hearts out. This vacuum is made by Perfect Products. If you like the design that Electrolux had, this vacuum is well worth considering, it has a very powerful motor and seems to be built really well. I'm giving it 4 stars instead of 5 because the suction relief valve on the hose has kind of a bad design. 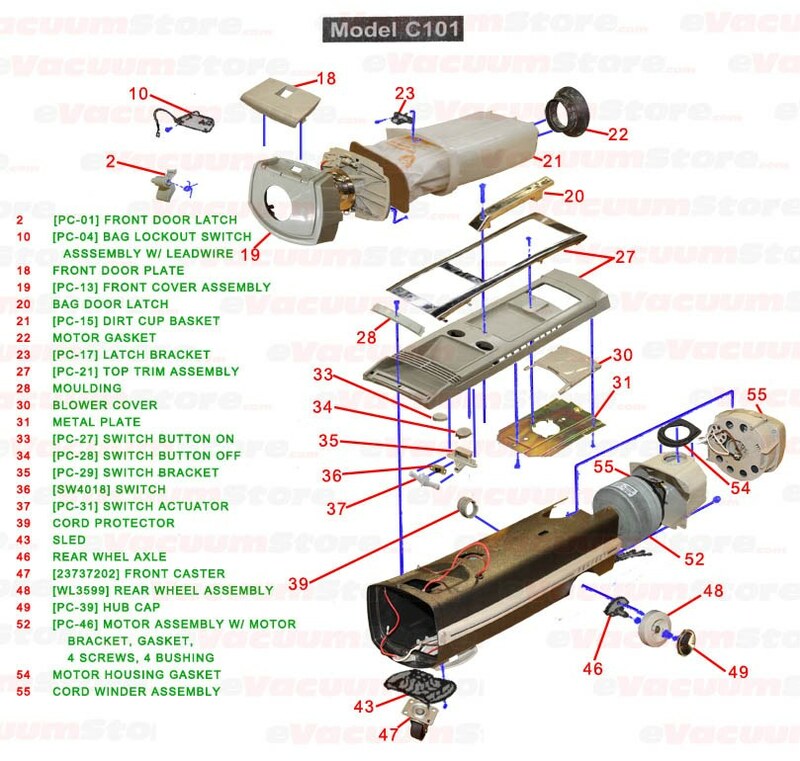 Answer:This vacuum is was actually sold with two different belt configurations. Open up your power nozzle and take out the belt then give us a call at 866-972-8227 and we can assist you with ordering the correct belt. Answer:The Electrolux Sidekick I is compatible with this vacuum cleaner. Answer:Electrolux Style C bags will fit the Power Team Perfect Canister. Answer:The Power Team unit is manufactured by Perfect Products.